West Virginia’s coal economy is not what it used to be. In 2013, coal production hit a 30-year low and employment in the industry fell to a nine-year low. 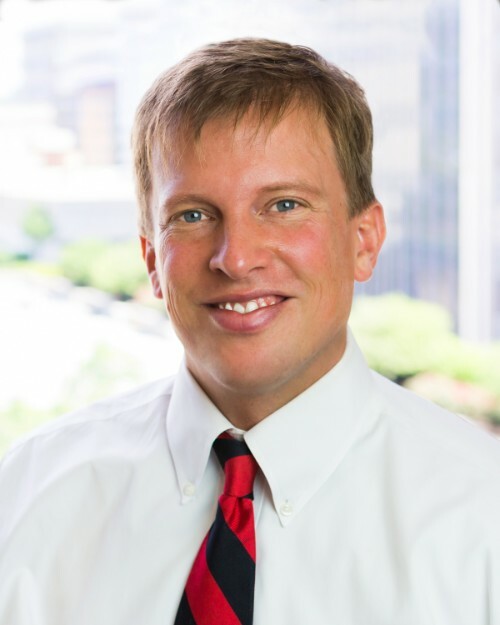 While the coal industry and other like-minded people have put most, if not all, of the blame on President Obama and the Environmental Protection Agency’s “war on coal”, the evidence paints a much more complicated picture of a coal region that is in the wake of a structural decline due to market forces and regulations. Meanwhile, other commentators have written that there is “no war on coal” and that the recent development of shale natural gas is the driving force behind coal’s woes. The problem with this argument is that the growing competitiveness of natural gas for electric power generation is being partly driven by concern over current and future regulations of greenhouse gases. 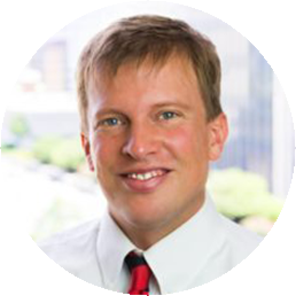 In other words, it is a much safer move for utilities – given the uncertainty of future carbon pollution regulations – to make the switch to natural gas given the growing concerns about climate change. 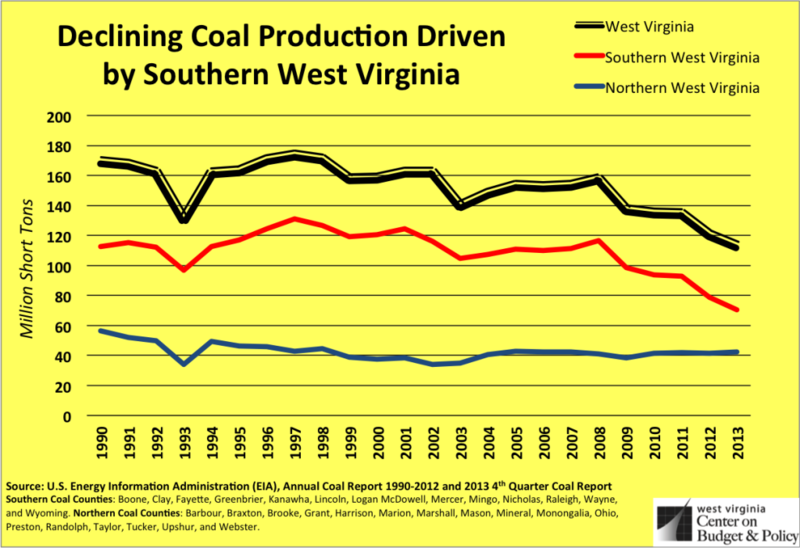 This series of posts is aimed at providing a more complete picture of why coal is declining in West Virginia. In doing so, policymakers and others will have a better understanding of the root causes of the problem and will be better positioned to guide policy action to meet these challenges. The first thing you need to know about the decline of coal in West Virginia is that it is primarily happening in southern West Virginia. As this chart shows, the recent decline in production is mostly from the southern part of the state, where production has dropped from 130 million tons in 1997 to just over 70 million tons in 2013. Meanwhile, production in the northern part of the state has remained relatively flat since the mid-1990s. In 2013, the counties in the northern part of the state produced over one-third (37%) of the coal in the state, compared to just 21 percent in 2002. Perhaps nothing highlights this transition more than the fact that that Marshall County, which is located in the state’s northern panhandle, is now the state’s largest coal producer (2012 and 2013), pushing past Boone County, which as led the state for over three decades in coal production. Between 2008 and 2013, coal production in Boone County dropped by more than half, from 30.3 million tons to just 14.2 million tons. Meanwhile, Marshall County coal production rose over this period from 10.8 million tons to 15 million tons. 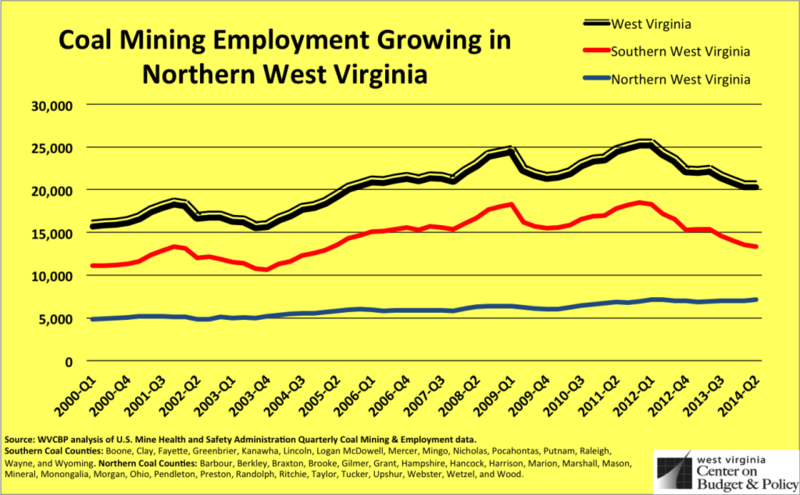 Coal mining employment in West Virginia has also shifted north. In fact, as of the 2nd quarter of 2014, the number of coal miners in the northern part of the state was at a 15-year high of 7,162 according to data from the Mine Health & Safety Administration. Meanwhile, the number of coal miners working in southern West Virginia declined from a high of over 18,500 in late 2011 to just 13,300 by early 2014, a drop of nearly 5,000 jobs. The northern region now makes up about 35 percent of coal mining jobs, its highest share since 2000. The decline of coal production in the south and the relatively stable production in the northern part of the state has to do with many factors (see more in future posts). The northern part of the state, similar to other western coal basins, contains mostly medium and high sulfur coal, while the southern coalfields have mostly low and medium sulfur coal. For years, many coal power plants were able to use low-sulfur coal to meet pollution requirements contained in the 1991 Clean Air Act instead of installing expensive anti-pollution scrubbers at their plants. Eventually through, all of the plants were required to install this equipment and this meant that the low-sulfur coal in the southern part of the state became less competitive as other power plants became outfitted to burn medium and high sulfur coal. The transition or shift in coal mining from the south to the north is part of a larger structural decline that is taking place in the entire Central Appalachian region. This area, which includes southern West Virginia, eastern Kentucky, western Virginia, and eastern Tennessee, has been declining for well over a decade. From its peak in 1997 of 291 million tons, it has fallen by over half (56%) to just 127 million tons in 2013. While Central Appalachian coal production began its decent in the late 1990s, it has dropped much faster over the last several years. From 2008 to 2013, it fell by nearly 46 percent, or from 226 million tons to just 127. As the graph above shows, northern Appalachia produced nearly as many tons of coal as the Central Appalachian Region did in 2013. 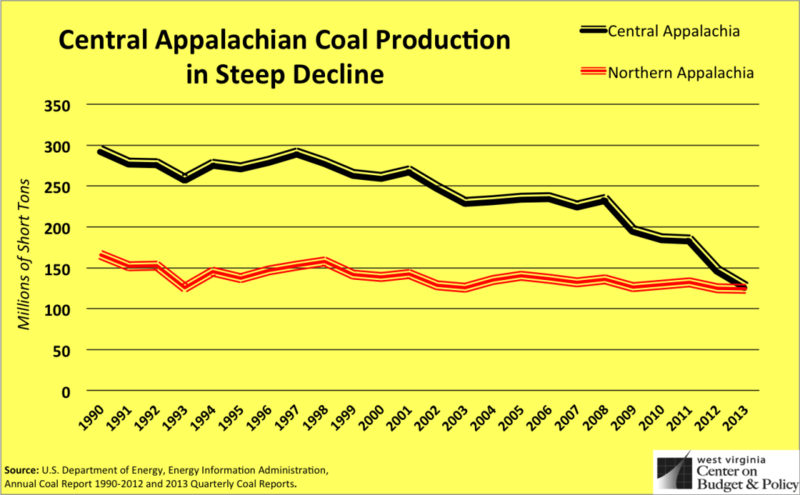 Corresponding with this decline is the falling share of coal production in Central Appalachia compared to other regions. In 1990, Central Appalachia made up nearly 29 percent of coal production in the United States. In 2013, this dropped by more than half to about 13 percent in 2013. Meanwhile, Northern Appalachian production has remained relatively steady declining from 16 percent to 12.5 percent. Today, both regions account for nearly the same share of U.S. coal production. In the next few posts, I’ll explain the factors driving the decline of coal in southern West Virginia and what the prospects look like for the future.